Katie Rodriguez is the associate director for State Health Policy in the foundation’s Sacramento office, which provides a local resource for legislative staff, policymakers, and the media and serves as a liaison to experts and resources at the foundation’s Oakland headquarters. Katie helps support the work of policymakers and state agencies and departments through research and analysis, technical support, and policy briefings. She also assists in convening stakeholders, foundation partners, and grantees to advance the foundation’s mission. Prior to joining CHCF, Katie was the senior policy advisor for Alameda County Supervisor Wilma Chan. She assisted the county in positioning itself for the implementation of the Affordable Care Act (ACA). Previously, she served as the senior legislative assistant for health policy to a member of Congress during the passage of the ACA. 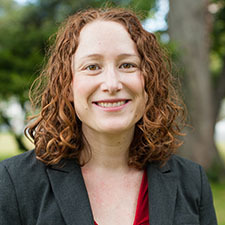 Katie earned a bachelor’s degree in government from the College of William & Mary and a master’s degree in public policy from the University of Michigan Ford School of Public Policy. As part of her graduate studies, she served as an intern with the White House Domestic Policy Council Health Office.